Jodie started her entrepreneurial journey with two-sided marketplace, Occasional Butler, which was acquired by rival Airtasker. During this time Jodie started Melbourne coworking space depo8, a community of creatives, startups and entrepreneurs. Jodie was recently a mentor and co-leader of the Wade Inc Accelerator program at the Wade Institute. Prior to which she spent 9 years as the General Manager for leading Australian fashion designer Leona Edmiston, where she oversaw strong business growth. And was an Account Manager for Ericsson Australia and also for NCR Corporation in both Sydney and London. Jodie is excited to be part of the SBE Australia team, and is looking forward to supporting women entrepreneurs in scaling their businesses. 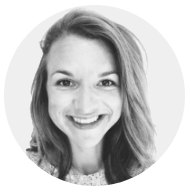 Emmelie is a driven business developer with a passion for digital innovation. With a background in working for accelerator programs in the Netherlands in the fields of web & mobile, smart energy, digital health and A.I. she is excited to be part of the startup ecosystem here in Australia and keen to work on programs at SBE Australia that contribute to the support of female founders and the creation of big, global and sustainable businesses. In prior roles, Emmelie has helped expand business' into new international markets, execute new business strategies and built strong strategic partnerships connecting corporates and startups to drive innovation. With 20 years of expertise in innovation and the translation and commercialisation of life science research, Larisa has developed, managed and executed successful business development strategies. Larisa's core skills include IP management, in-licensing, out-licensing, business development, communications, stakeholder management and corporate strategy. Prior to joining SBE Australia, Larisa was a key member of the leadership team at ASX and NASDAQ listed Immutep (Prima BioMed Ltd) for 14 years, enjoying a cross-functional operational role working with clinical and manufacturing teams to ensure a consistent IP/BD and corporate strategy across all areas of the business. Olivia is responsible for the planning, organisation and successful execution of SBE Australia’s programs. 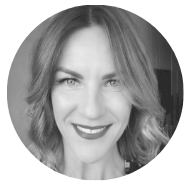 Prior to working with SBE Australia, Olivia was Director of Sport at an academic boys school, where she was responsible for the organisation and management of one of the largest Government school sport and extra-curricular programs in Australia. She has a long history of managing National sporting teams. A former athlete, Olivia was part of the Australian Women’s Handball Team for a decade; competing at four World Championships. Olivia is passionate about equality, diversity and empowering women. Driven by growth, creativity, innovation and success she is constantly inspired by SBE Australia’s work; helping female founders gain skills, knowledge, confidence and networks.